1. 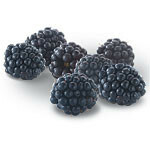 In a saucepan combine demi-glace, Blackberry puree, and wine; bring mixture to boiling. Reduce heat; simmer about 10 minutes, stirring frequently, until mixture is reduced by half. 2. Whisk in heavy cream; simmer mixture 5 minutes more. Strain; transfer to a bain marie to hold for service. 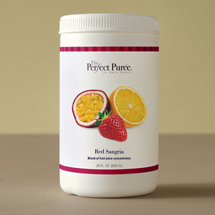 In place of the Blackberry puree, try this sauce prepared with The Perfect Purée Red Raspberry. Use this richly flavored sauce to accent duck, chicken, game, or pork loin entrees.